As the cost of fuel continues to increase alongside the impact of fossil fuels on the environment, Ford has developed its ECOnetic technology to help improve the efficiencies of the Ford range. The result is vehicles that consume less fuel, use their fuel more efficiently and produce lower amounts of emissions. Not only is this better for the environment but is also means lower running costs for owners. ECOnetic technology includes Ford EcoBoost technology – a class leading engine available in a variety of sizes including the award winning 1 litre EcoBoost which provides the same level of power output but using 20% less fuel. Additionally, the Ford PowerShift automatic gearbox is designed to select the most appropriate gear for the situation, delivering power when required but reducing output when not needed, with the overall result being improved fuel efficiencies. 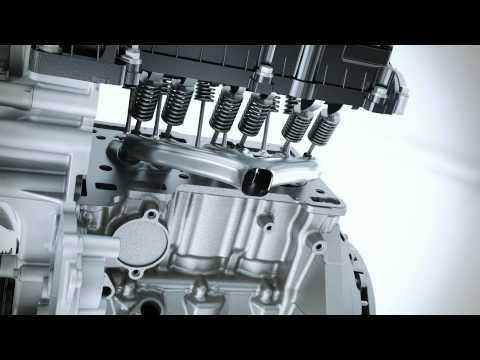 Ford Duratorq diesel technology utilises the latest engineering technology for Ford diesel engines, helping the fuel to be utilised more effectively, resulting in improved fuel efficiency and more distance between fuelling stops. Even with all of the above improvements, a pleasurable driving experience has not been compromised on, with a variety of performance vehicles such as the Focus ST being powered from the EcoBoost technology. To find out more about Ford ECOnetic Technology, contact Peoples Ford today.